sewing space. This then lead to a clean up and a little rearranging. Quick tour of "my space". 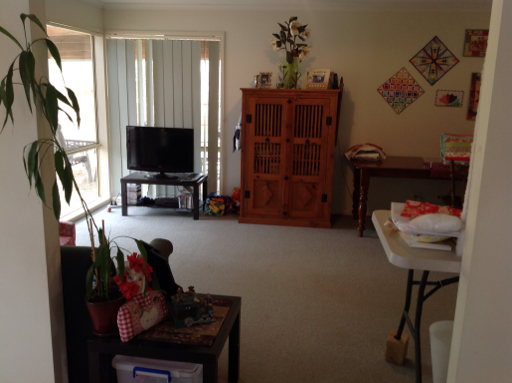 This is looking into the back lounge / my sewing space from the dinning room. You will notice to the left is the kids space. A lounge, tv, some of Lily's toys and the PS3. To the right is my sewing space. I am so pleased that I can now leave the ironing board out and it's not in the way! My cutting table and design wall. Legs to make it just the right height for cutting for me. So I have that bookcase all for me. The two missing boxes are over on the ironing board! I hope you have enjoyed my quick tour. Tucked up under my Swoon Quilt. Thanks for the tour.....is it always so neat? Do you spend hours just standing in front of that fabric cupboard? It's a thing of great beauty. As for blogging from bed - isn't that what iPads are for? Enjoy your Sunday. 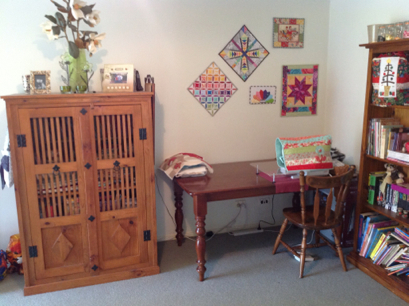 I love your sewing room/space :) Very well organised and there is nothing better than to be under a quilt reading or ipadding :) Thanks for showing us and I like the idea of blocks under the table, I am going to do that with mine. I'm lying in bed reading blogs on my iPad. Have to agree it's a lovely way to start a lazy Sunday. Your sewing room is brilliant. Mine is so messy at the moment, it is actually disgraceful. 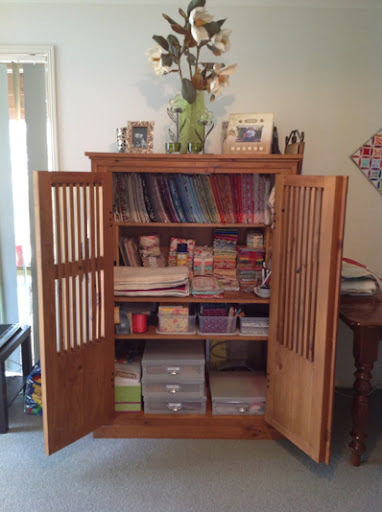 Your sewing space great, so well organised to, the cabinet for your fabric is lovely. Enjoying your sewing time. Thanks for the tour of your sewing space Sharon. It's always interesting to see where other people spend their time creating! I would love a sewing space of my own......Yours is fantastic. 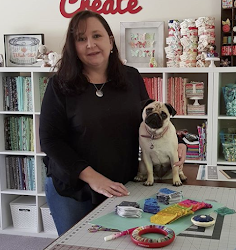 Lovely to have a virtual tour of your sewing room,looks much more organised than mine at the moment LOL.I've just bought the swoon pattern but I'm thinking of making up some floor cushions for work with it :) Barb. This looks way too tidy. Nonetheless, it's a beautiful sewing space. Thanks for the tour. 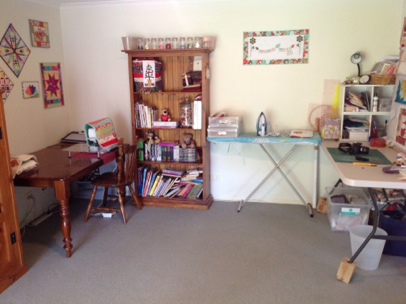 What a gorgeous TIDY sewing space you have!!! Tis always good to see where people create. 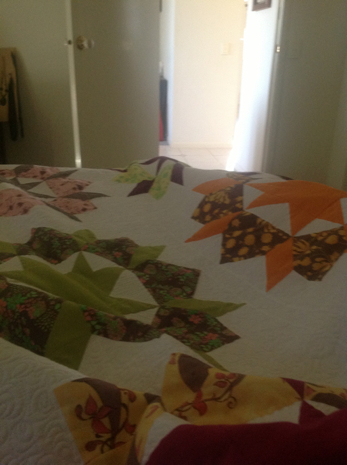 Your swoon quilt looks soo comfy too! 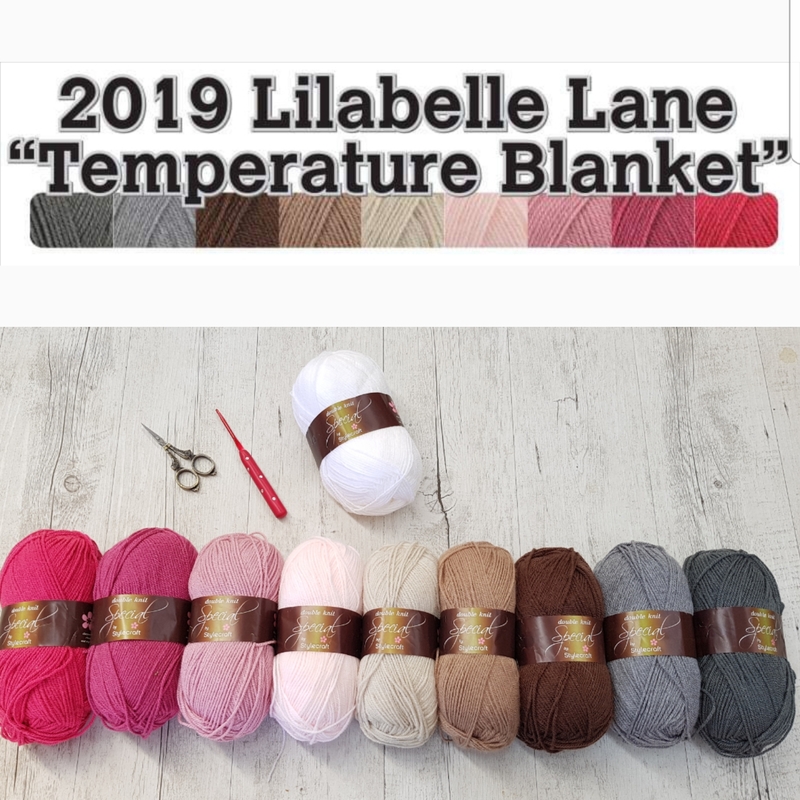 Your sewing space looks so neat and tidy, and enjoy snuggling under your Swoon! 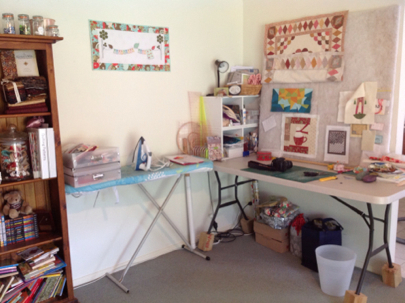 Your sewing space looks lovely, it must be so nice to have your own space! Oh my Goodness, I am froggy-green with envy about your massive space! It looks set out so well, which makes sewing & stitching so much more enjoyable, don't you think? !